We went to the huge Chelford Boot sale yesterday (its a bit too big for my liking). But I found a few treasures. This was my best find. 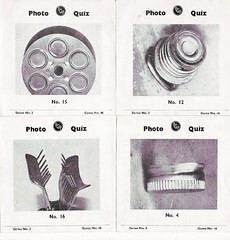 A photo Quiz game, which might be hard for anyone under the age of 40. 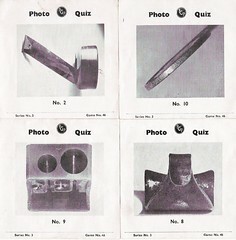 Not every house had picture hooks! 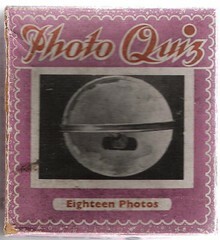 I thought as its a bank holiday I should have a game to play. There are no prizes..just the smugness you will get from being right. 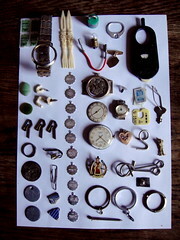 All these objects are from a tin I used to be obcessed with as a small child (mom said 5 upwards). If mom wanted to keep me quiet she would give me my tin of treasures and I would be transfixed for ages. I thought mom had thrown it out years ago, so it was very exciting to mooch through it all again. 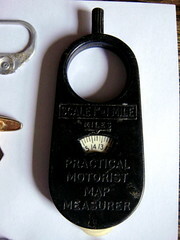 My favourite thing in there was the map measurer.